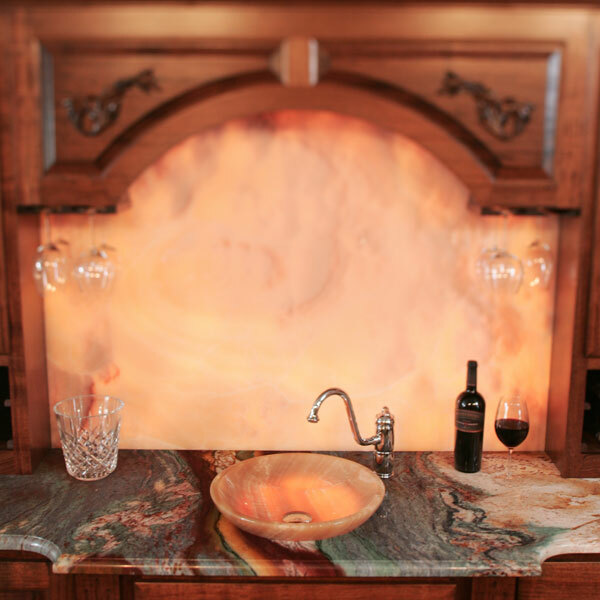 You have access to the world's most beautiful stone at Alpine Granite Accents. Alpine Granite Accents works with several reputable stone importers that we trust to provide high quality stone slabs from quarries around the world. View samples of various stones in our showroom, or we’ll arrange for you to see the full size slabs when available. Alpine Granite Accents is also happy to help you track down exotic or hard to find stone to beautify your home. Natural stone is versatile, durable and comes in a rainbow of colors to enhance the look and function of your home. Because different varieties of stone possess wide variations in performance, some may be better suited for your particular application than others. At Alpine Granite Accents, we help you find the right stone for your needs, and we teach you how to care for it properly to ensure years of enjoyment and beauty. We insist on top-grade stone to ensure your satisfaction. Regardless of the grade, we will reject slabs that do not meet our high standards. For more inspiration, visit some of our supplier's websites. Granite is the most popular countertop material, with good reason, it is the hardest material available. 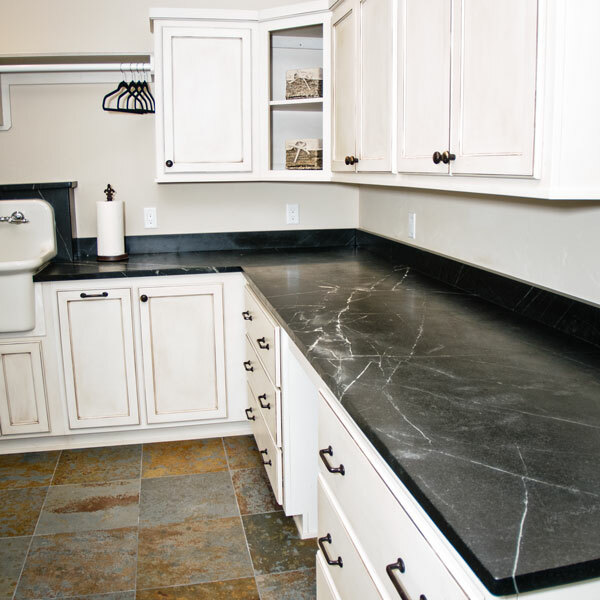 Granite surfaces resist staining, scratches, extreme heat, acids, and other signs of daily wear. Granite’s inherent density means it is easy to clean, does not harbor bacteria and needs a minimum of maintenance to keep its good looks. Each slab has its own unique markings, patterns and veining, allowing endless possibilities for design. 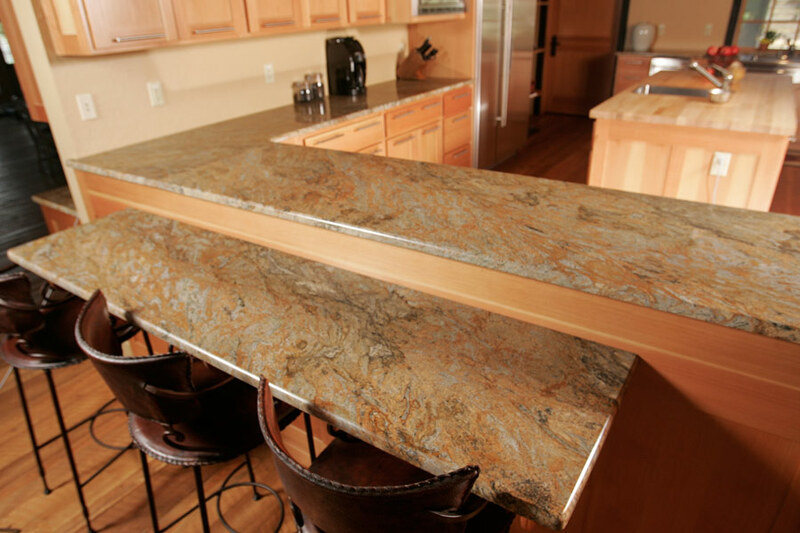 In addition to countertops, granite can be used for bar tops, vanities, walls, floors and fireplace surrounds. Elegant and beautiful, marble has lower abrasion resistance and higher absorption than granite, requiring more maintentance for kitchen countertops in most cases. The exception is a marble slab used for rolling out pastry; the cool characteristic of the stone is perfect for working with delicate pastry dough. 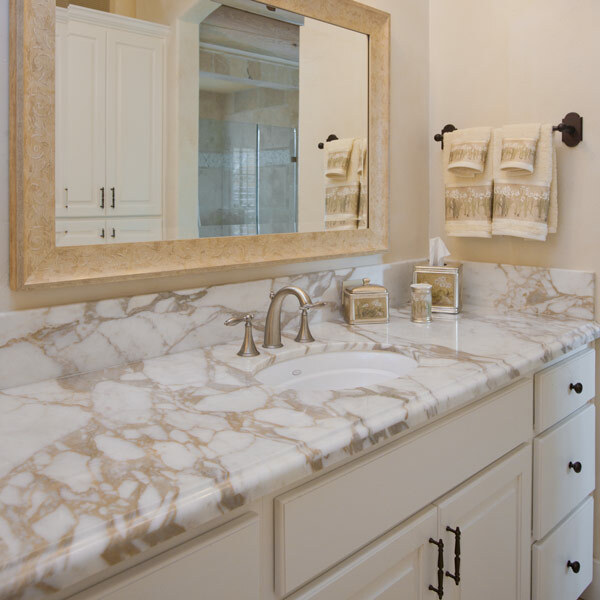 Marble is a great choice for bathroom vanities, floors, tub decks, and showers. It comes in a large number of colors with distinct, often dramatic, veining. All marble surfaces must be sealed and require annual maintenance. Onyx is a semi-precious, translucent stone. It requires special care, due to its softness and is generally suitable for areas that receive light duty use only. Onyx makes beautiful fireplace surrounds, bar tops, wall cladding, sinks and tables. Because the stone transmits light, onyx can be backlit to show off the color and pattern of the stone. Limestone is a durable, versatile stone that can be used for flooring, walls, kitchen islands, range hood covers, vanities, and for limited countertop use. It can be finished in a number of ways depending on the particular slab. It does react to acids and must be sealed to protect against staining. 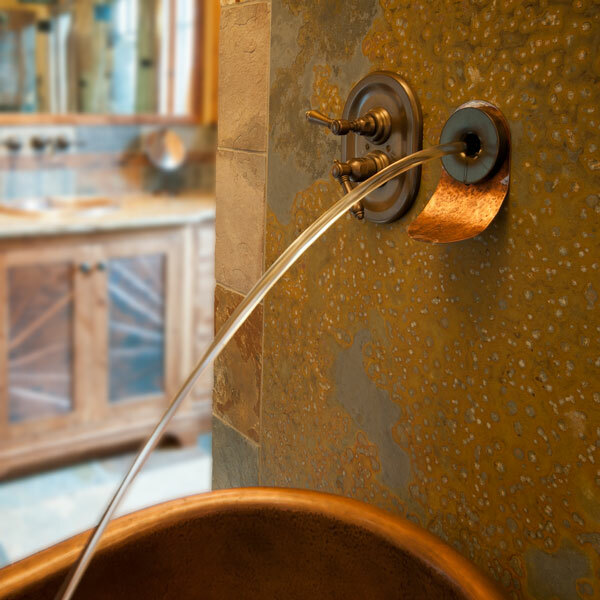 Travertine is related to limestone, and shares some of its characteristics. It does react to acids, and is not recommended for countertops. 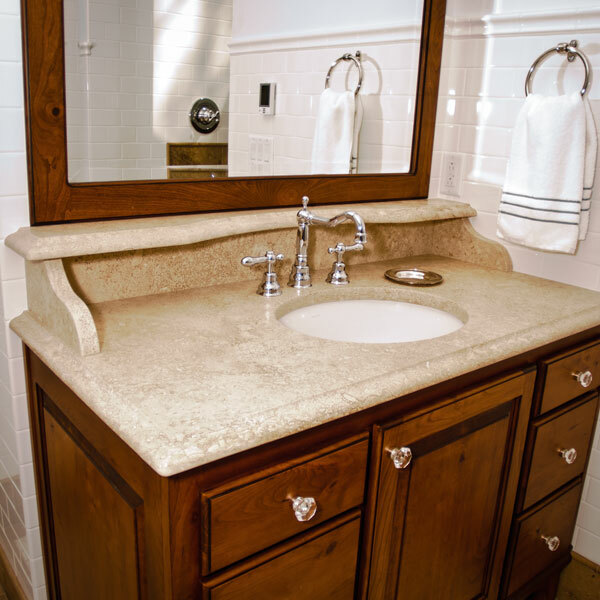 Travertine is used for interior walls, backsplashes, sinks, floors, mosaic tiles, statuary, fireplace surrounds, tub surrounds, vanities, and end tables. Slate is a beautiful, versatile, natural surface for flooring, countertops – even roofing tiles. It is often used for bathroom showers, tubs and vanities. Slate is dense and highly resistant to staining, but must be sealed. Soapstone is dense and heavy, but soft enough to scratch easily. 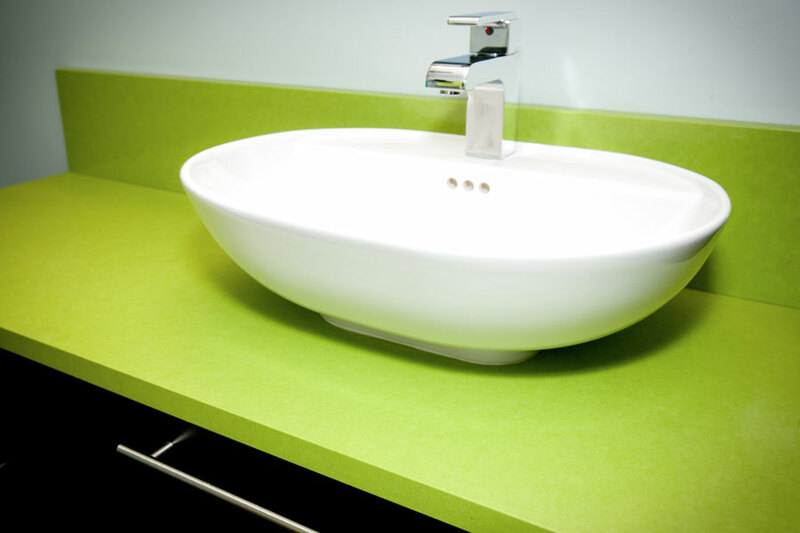 It does not react to acids in foods and does not stain, making it the countertop choice for laboratories around the world. It has a soft, warm, silky feel and requires minimal care. 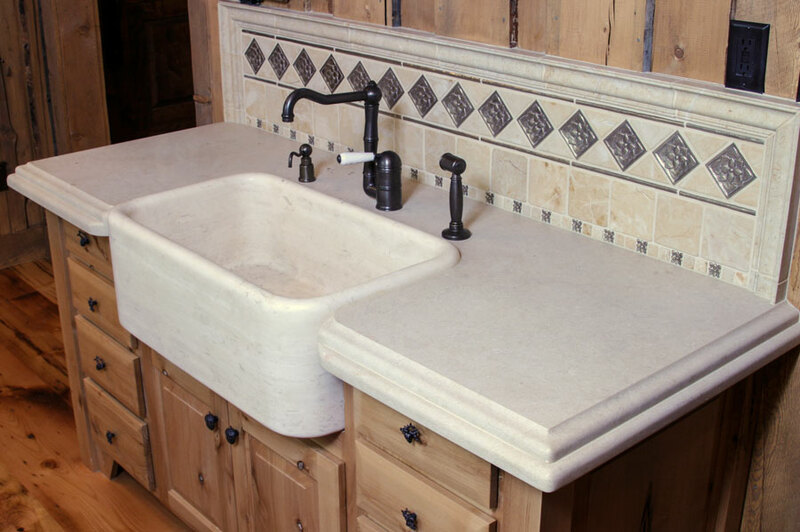 Soapstone can be used for sinks, countertops, island tops, sills, flooring and shower stalls.